i have tweeted and facebooked some of these, but most of them are unpublished gems. i always laugh to look back and see what i deemed photo worthy. there's quite the little assortment living in my telephone. chunky snuggle muffins taking a nap. the goodie basket at the kids doctor's office. this is HILARIOUS to me because my pediatrician growing up always gave out dum-dums and there always seemed to be only the awful root beer flavored ones left. who eats that flavor!?! my new planner for fall of this year + 2012. i am kind of in love with it. judah and his school BFF, logan (formerly "woagie!") this was before i had a chance to get his haid cut by someone not me, and i was hacking eye holes out of his bangs every week so that he could maintain eyesight. 3 burpie sets that lena got to choose from for a baby gift for her boss. a man at the car repair place. when he walked in judah yells, "DADDY!" it was hilarious and embarrassing. so close, yet so so so far off, little judah. so weird to see this a few towns over from where we live. a golf cart community where you can get everywhere you need to get via goft cart paths.this is at the bank. we had to experience it! we borrow my L&D nurse buddy, adrienne's, golf cart when ryan and raechel came to town and took and evening ride. so WEIRD! judah in the tubes at IKEA. this was before he escaped me and i couldnt find him for a LONG time. SO SO SO scary. i spotted his little blonde blur about 100 yard away from me finally. sheesh. i am not into overprotective parenting, but IKEA + a 2 year old = vigilance. this is how layla prefers to sleep. KILLS ME! baby goat. she ALWAYS eats my fabric scraps. being hilarious at brunch and rocking an outfit on backwards thanks to lena or elliot. love it! spicy honey glazed chicken. also on my pinterest. 10000% easy and DELICIOUS. we have made it 3 times in the last 2 weeks. it might be time for jesse to get a haircut when his back pony extends 5 inches off the back of his head. AC slater! they are really starting to LOVE each other. my bet is that if youre wearing this shirt...youre proabably already "hanging" inside of it. another pinterest item! chocolate chip esspresso shortbread cookies. DAN-GER-OUS! a batch takes two sticks of butter to make and our batch was gone in 24 hours. soooooo...yeah. a stick of butter for keight! saw a teething necklace (mom wears, baby chews) online in a shop and decided to make one myself. i think i like it. unfortunately its like the only thing layla doesnt seem to want to chew on. i was trying and overnight pinterest hair curling trick and this was how it started. naturally the world needs to see this. 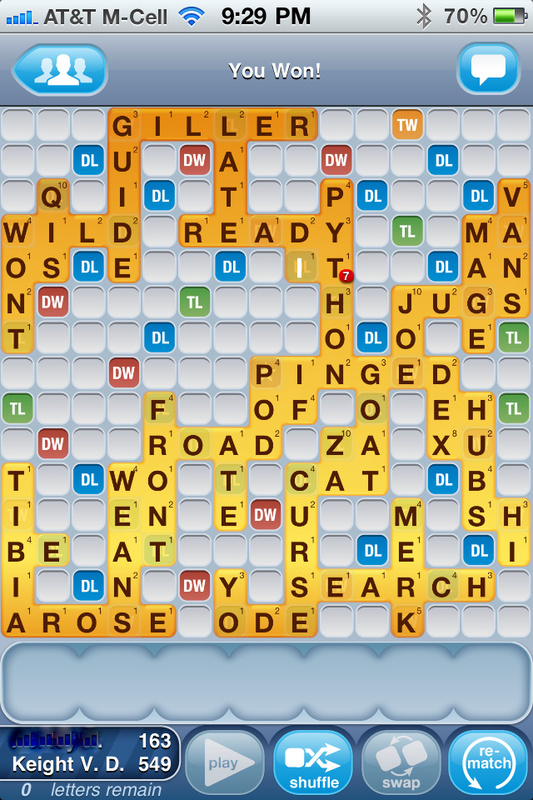 my best ever WWF score. (victim's name obscured for their dignity). have a great loooong weekend, homeslices! Confession: My favorite Dum-Dum flavor is root beer. I know that's disgusting to most, but I love them. I've pinned the Oreo cheesecake too, but haven't made them yet for fear it's all I will eat until it's gone. And Layla's shoes are adorable! Love Layla's shoes... we have a constant supply of red ones at our house. And the curl trick works awesome if my hair weren't so long and it wasn't still 90 degrees and 90% humidity! Also a lover of Root Beer Dum-Dum and note to self. 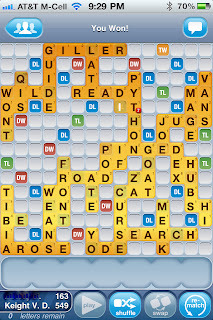 Do not play Words with Keight! I'm a newby and that score blows my mind. Did the hair curling trick work?? I saw it recently and want to try. OMG. That plus-30-pounds, plus-20-years picture of Jesse KILLED me. I showed it to Nate and he thought it WAS Jesse! He was all, "what's the big deal?" Hahaha. So glad you photographed that awesomeness. And, I love the golf cart. My Georgian friend warned me about that! dude, there are wayyy too many things I want to comment on. but mostly it's your hilarious commentary on each & every picture. girl you are fun-ny! !